In 2012, my husband and I were invited to Paisley, Oregon to participate in an amazing group camping trip. This trip was put on by a veteran’s organization called American Hero Adventures. I believe it was the first event ever for this organization, but you would never know it because of how organized it was and how amazing the people were. My husband is an above the elbow left arm amputee veteran. He lost his arm in Iraq in 2004. He and I had such a wonderful time during this event. 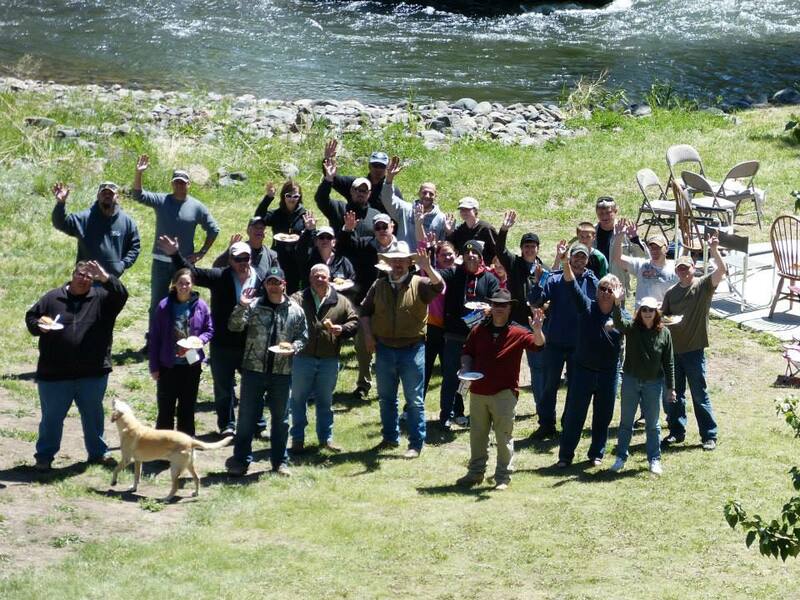 There was fly-fishing, tomahawk throwing, archery, shooting, and a wonderful pig roast! During all the activities, there were people there to help him and accommodate him with his disability. They were all so happy to help! His favorite activity was the fly-fishing. He loves fishing and any time he gets a chance to go, he does! I especially loved the archery, which I had never done before. Apparently I’m a natural at it. We sincerely had a wonderful time during this trip, and it meant a lot to us to be invited. I really see a difference in my husband when he is in the great outdoors. There’s something about being in nature that makes him feel at peace, and American Hero Adventures hit the nail right on the head! And to include spouses and family members was a definite bonus! It was a great bonding experience, not just for my husband and I, but for all the veterans that were there as well. To see everyone with a smile on their face was very heart warming. Kudos to American Hero Adventures and founder Troy Givens for doing something so incredible for veterans and their families! Michael Oreskovic was born in Medford, Oregon in 1981. He attended high school in Eugene, OR, graduating in 2000. He joined the Army in 2001. As part of the 3rd Brigade, 2nd Infantry Division, he fought in both Afghanistan and Iraq. On his last mission in Iraq, he was injured when a car bomb went off while he was on patrol in a Stryker vehicle. He lost his left arm. Oreskovic recuperated at Walter Reed for 13 months before returning to his home in Oregon. He retired from the Amy in November 2005. He is currently attending Lane Community College working towards a master’s degree in education. He plans to become a middle school history teacher.